Maybe it’s just me, but I have a love-hate relationship with New Year’s Eve. In my experience, it can go either way – NYE will either be the most amazing, magical, fun, inspiring night of the year, or it really, really won’t. But no matter your relationship with New Year’s Eve, you’ve gotta celebrate in some way right? My tactic is to have a bit of a game plan. With the fireworks and free events happening throughout the evening, the City is going to be crazy busy so you have to know what’s going on before you get there if you want any chance of ending up where you want to be. I’ve rounded up five venues in and around the City that should suit every budget, dress code and beverage preference, and help see your NYE go off without a hitch. Let’s fall down the rabbit hole and get a little whimsical this New Year’s Eve. 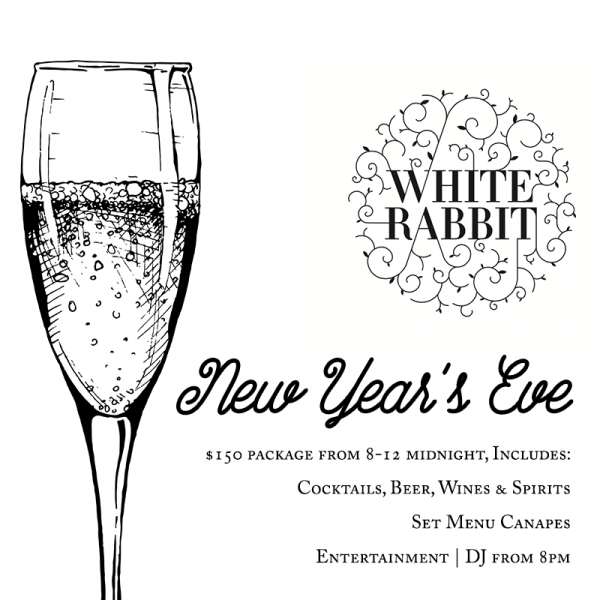 The White Rabbit Cocktail Room is putting on a party to ring in the new year and you’re invited. This is one for all the cocktail lovers out there and those who don’t mind committing to the one venue all night. 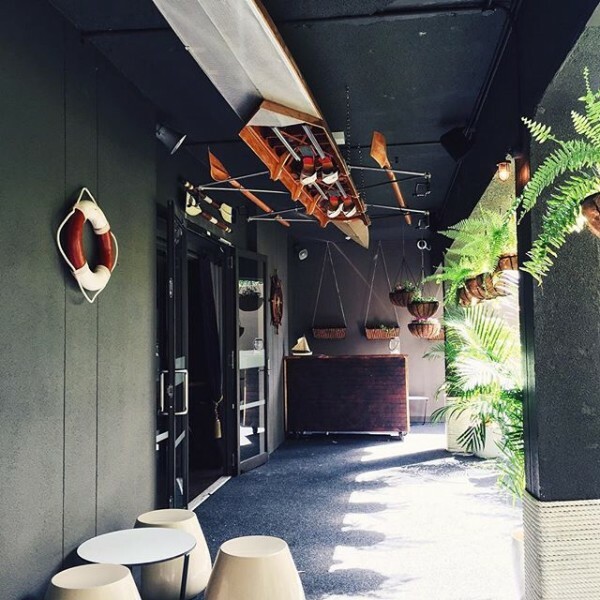 $150 buys you exclusive entry from 8pm till midnight, as well as cocktails, beer, wine, spirits and set menu canapés. The DJ kicks off at 8pm and if I were you, I’d get in early to settle in with their killer cocktail list. Find out more. Want to get all dolled up this New Year’s Eve? Lucky’s Speakeasy at QT Canberra has you covered with their James Bond 007 NYE Party. There are two options. First up, the Lucky’s 007 NYE General Ticket ($89 per person) will get you a martini on arrival and a drinks and canapé package from 8-10pm. If you want to up your game with the VIP High Roller Package ($129 per person), you’ll be in the exclusive QT lounge from 7pm with a glass of French champagne on arrival, canapés of oysters, caviar and vol au vents, plus a viewing of the 9pm fireworks. Afterwards, you can head on downstairs to join the Lucky’s party. Find out more. 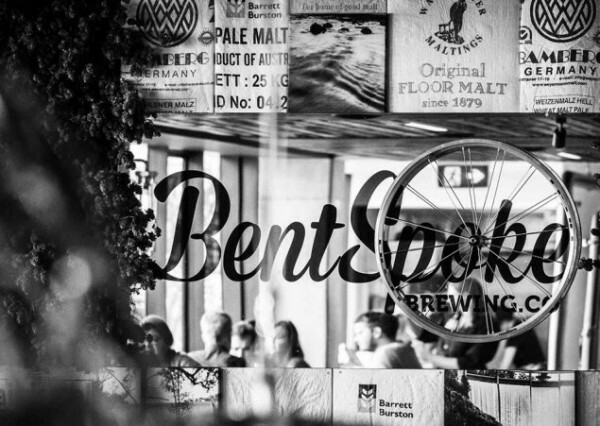 If beer is more your style, BentSpoke Brewing Co are hosting a New Years Eve Lock-In with an open bar with all their beers and ciders flowing. For $116 per person, you’ll get to party from 9pm-1am with access to the open bar, a selection of wine and spirits, canapés and the chance to win one of their giveaways. BentSpoke will also be launching a new beer on the night. I recommend getting in early to be one of the first to try their new beer. Find out more. This is one for those who don’t want to commit to one venue, but still want a guaranteed good time. Molly is celebrating New Year’s Eve in their usual roaring 20s style. 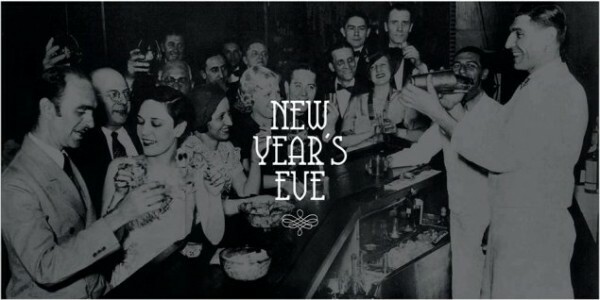 In their own words, “No tickets, no cover charge, all welcome to come party like it’s 1923.” And if you’re starting early and after some snacks, they’ll have roaming charcuterie platters between 4 and 7pm. Find out more. 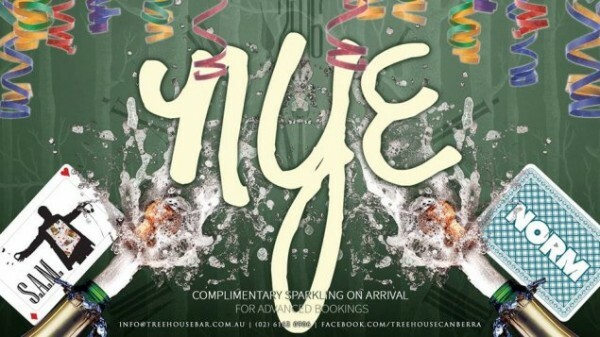 Treehouse is another bar where you won’t have to pay a cover charge on New Year’s Eve. They are taking bookings though, with advanced bookings receiving complimentary sparkling on arrival. Doors open from 6pm and they have two local DJs – S.A.M. and NORM – providing the entertainment for the night. Find out more. Speaking of which … is Andrew Barr dusting off the pissoirs this year? You know, the ones where Katie Gallagher distorted the stats so that every bloke’s post-yard-glass wee-wees were supposedly a few millilitres each, and said pissoirs, with their minimal modesty panels, claimed at least six times their actual patronage, in an attempt to justify the cost? I reckon the dark-side of those dumped containers on the futsal slab would be a handy place for a slash. Would also make a statement.